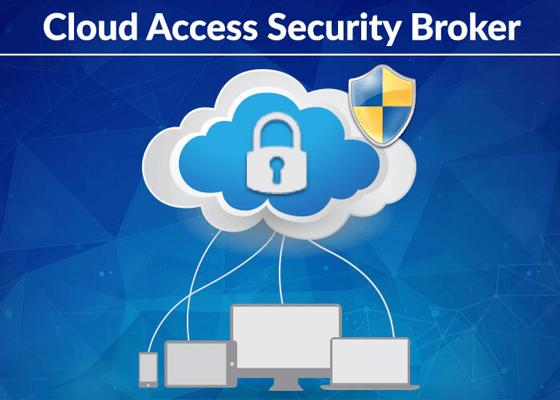 What Are Cloud Access Security Brokers Solutions? If we say that cloud applications are here to stay, then we say it as per this statistic. As per the Gartner 2014 report, all the interviewed respondents admitted that more than half of their enterprise spending will be on public cloud applications by a couple of years or so. The public cloud application vendors are very conscious of data security and hence they focus more on securing their infrastructure layers. This is done through a series of audits and certifications like ISO 27001 and SOC Type 2. Here, the risk brought about by user behavior lies on the organizations. One more report by Gartner has revealed that more than 25% of the IT expenditure is brought in through the non-IT department. This clearly indicates that the line-of-business owners are selecting cloud application technology by themselves to make their teams more productive. But to do this securely, strategies which reduce risk mitigation have to be implemented. Visibility: The corporate entities need to have visibility to what apps their employees use. In addition to it, the organizations need to be aware of whether the apps are unauthorized and the frequency of its use. Thus, by gaining visibility, organizations are in a better place to reduce the risks that might arise out of Shadow IT side of the equation. Compliance: When organizations shift to cloud services, the sensitive data has to be safeguarded and hence they need to comply with a few security protocols like HIPAA, PCI etc. Cloud Access Security Brokers help entities understand and comply with regulations through data governance. Threat Prevention: Effective threat prevention is possible when potential risks of both the internal users as well as malicious outsiders are evaluated. The organizations should be aware as to who is accessing information and what type of information. This can be resolved by Cloud Access Security Brokers solutions. Data Security for DLP: When a malicious outsider or some insider is trying to gain access to sensitive data, then the intellectual property has to be safeguarded. This Data Loss Prevention (DLP) is effectively done by Cloud Access Security Brokers solutions. Gartner is helping organizations understand cloud security better. It is educating organizations about how cloud services need to be adopted and implemented. To implement cloud security in such a way that it does not impact the end user is the foremost criterion which CloudCodes dwells on. It focuses on bringing about ease of operation to the employees. Thus, it helps in making cloud security a true business enabler opening up new areas of possibility for everyone. Cloud services offer a plethora of advantages like greater productivity, unbounded access, work flexibility and scalability. This is the main reason why cloud services are attracting organizations in plenty. With advantages come the disadvantages too, and the main one is that of data security, which if not addressed properly, can cause major havoc for organizations. CloudCodes acts as that effective link between organizations and cloud to bridge these security gaps. CloudCodes provides CASB solutions that can be effectively implemented by companies without any fear of their crucial data being compromised. CloudCodes offers high-end CASB i.e. Cloud Access Security Brokers solutions so that companies can focus on their productivity and do not get unduly affected by the data theft fear and security worries. You can read the case studies of use cases for CloudCodes CASB solutions, and get insights into how to make the most of your cloud security efforts with these solutions by your side, thus honing in on any suspicious malicious activities that truly indicate cloud security threats.